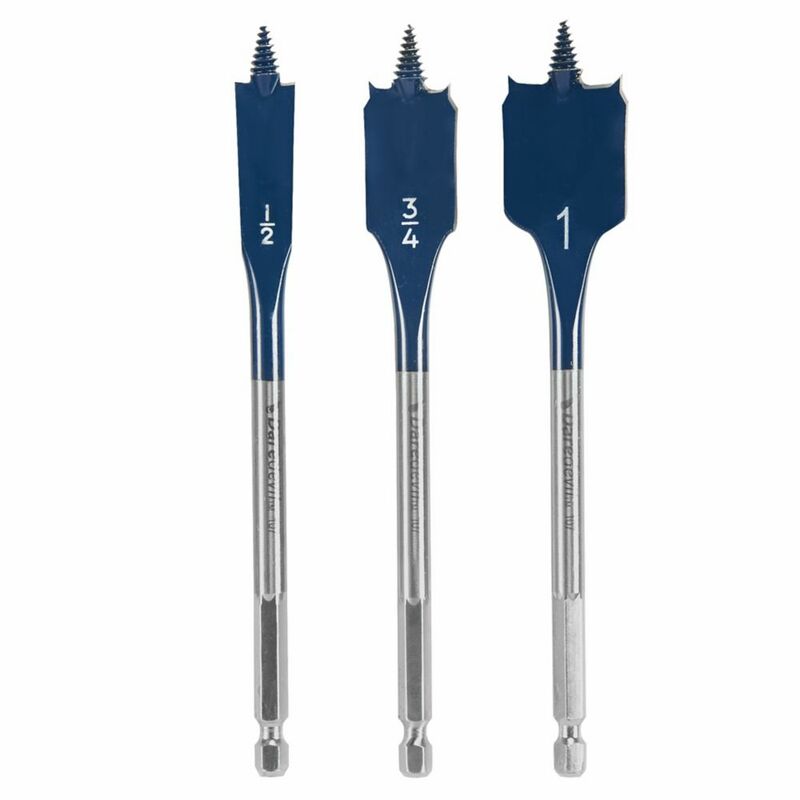 Daredevil spade bits are designed for professional users seeking speed, ease of use and hole quality. A full-cone threaded tip pulls the bit through the material with less effort and vibration than other spade bits. The contoured paddle delivers faster chip removal; hex shank with power groove reduces slippage. Up to 10X faster than conventional spade bits. The Bosch quick change universal extension is used to extend your reach when drilling and driving. It features a quick change pull mechanism for fast bit change without additional tools. Any bit with a 1/4" hex shank with power groove can fit into the extension. Bosch DareDevil represents the people who use power tool accessories to benefit not only their professional lives, but their overall lifestyle. By using better accessories you're going to save money and time because bits and blades account for more than half of the performance you get from your tools. And with the time you save, you'll have more opportunity to play hard. It's your time and you've earned it. Everything about Bosch DareDevil is best in class, from product design to the materials used. There's always a lot at stake in a construction project, so why wouldn't you combine your skills with the best accessories available to get the job done right the first time? 3 pc. Daredevil Standard Spade Bit Set Daredevil spade bits are designed for professional users seeking speed, ease of use and hole quality. A full-cone threaded tip pulls the bit through the material with less effort and vibration than other spade bits. The contoured paddle delivers faster chip removal; hex shank with power groove reduces slippage. Up to 10X faster than conventional spade bits. 3 pc. Daredevil Standard Spade Bit Set is rated 4.5 out of 5 by 44. Rated 5 out of 5 by Rockcreekk from The bits self-fed just as advertised. They... The bits self-fed just as advertised. They worked extremely well. Rated 5 out of 5 by HomeDepotCustomer from Good quality.works as they should.... Good quality.works as they should. Rated 5 out of 5 by Rizzo from Fast and aggressive. Great for rough work. What more do you want from a self-tapping spade bit? P... Fast and aggressive. Great for rough work. What more do you want from a self-tapping spade bit? Perhaps longevity. Time will tell, but on first use, I'm happy. Rated 1 out of 5 by mbeal47 from First time using them one of the bits bent on... First time using them one of the bits bent on me and is now no good. Rated 4 out of 5 by Oregonabe from These worked perfectly, it went through 3” of floor material like a hot knife through butter! These worked perfectly, it went through 3” of floor material like a hot knife through butter! Rated 5 out of 5 by Robert from They drill through 2 x 4's etc great. Wonderful for... They drill through 2 x 4's etc great. Wonderful for carpentry.